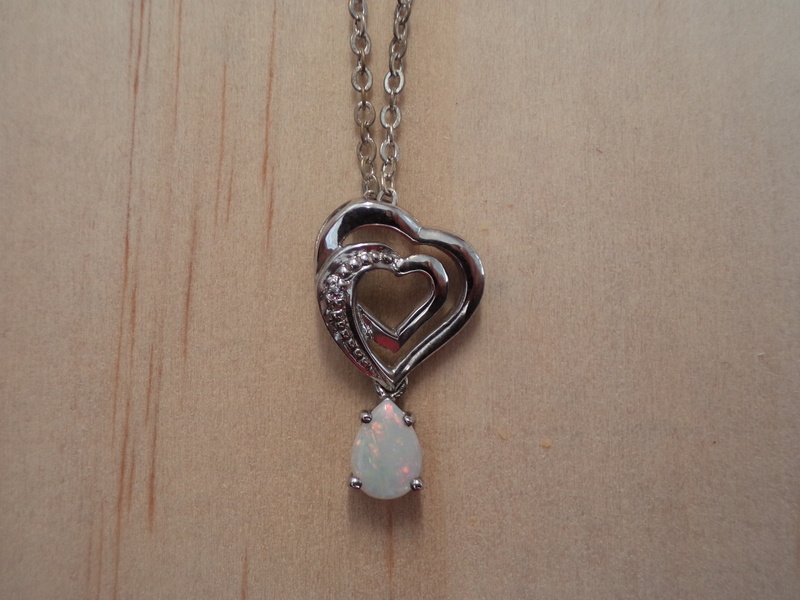 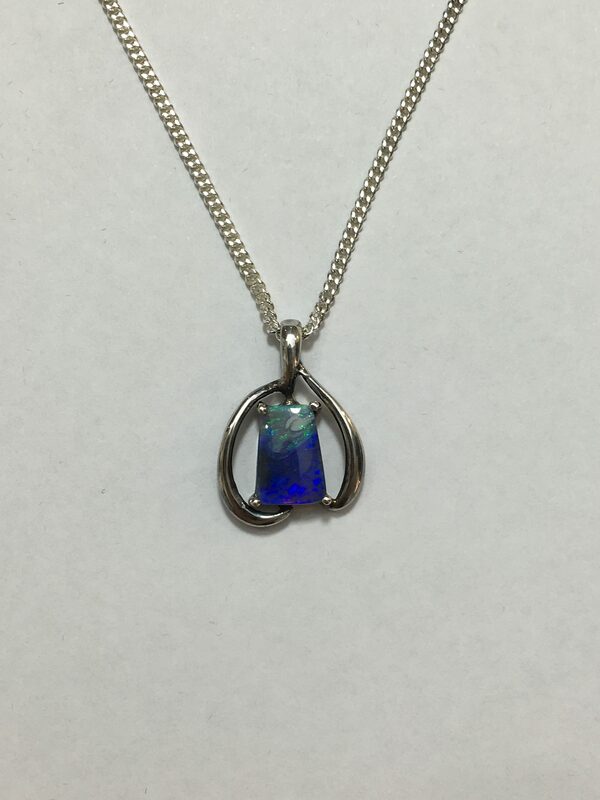 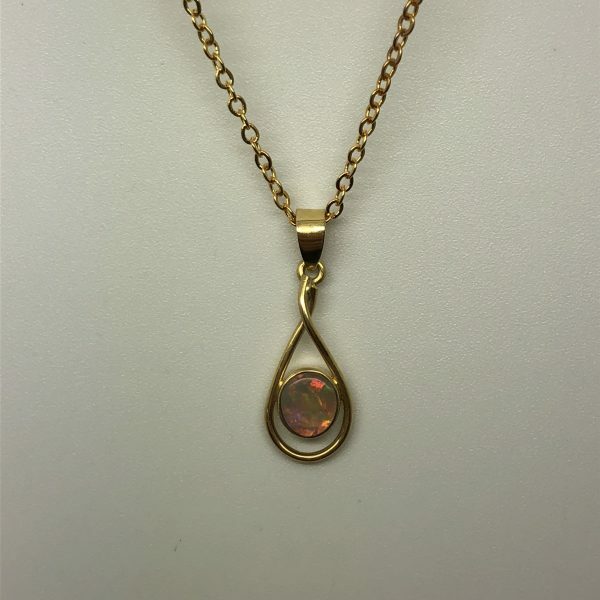 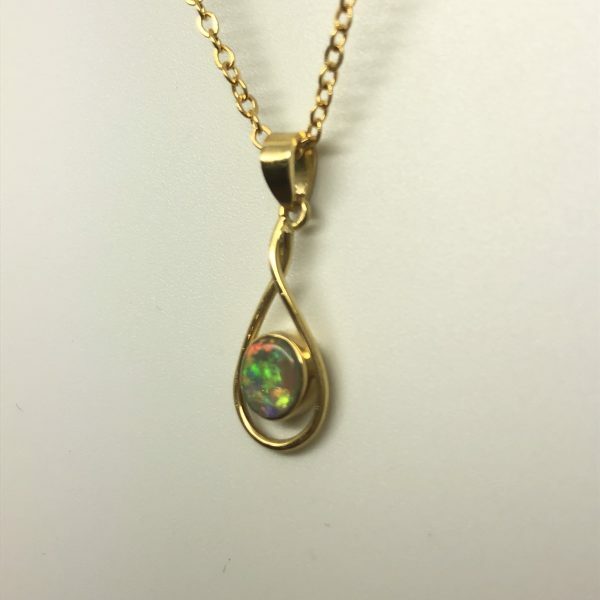 18ct Gold Crystal Opal Pendant. 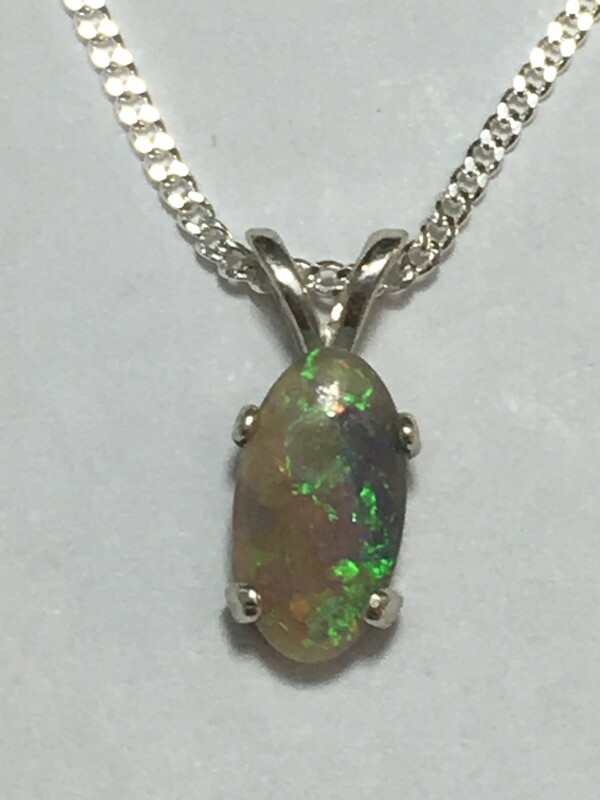 Solid opal approximately 6mm in diameter, encased in a uniquely handcrafted, teardrop setting. Setting is 18 ct gold, comes with complimentary gold plated chain.